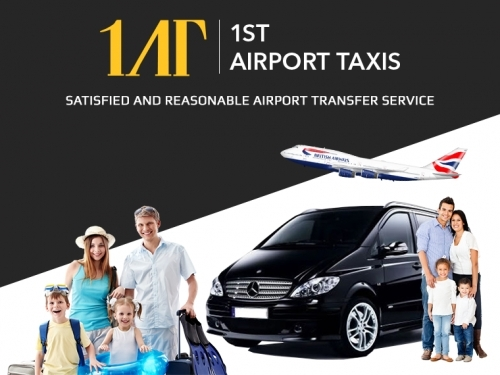 1ST Airport Taxis Heathrow provides a 24-hour airport cab service. So, whether it's day or night, just give us a call and we will be with you within a few minutes. You can book London Heathrow Airport taxis with us by visiting our online booking page on our website. Simply enter details, confirm and get picked up in a few minutes. Or download our mobile app to book taxis in just a few seconds. You can also give us a call on 01582 33 44 44 to beat Heathrow Airport rush hours and peak times. To provide comfort, we execute taxi jobs in executive cars so that you could enjoy rides with us. Stuck at the airport? Not a problem for us. We provide safe & prompt Meet and Greet taxis Airport service to any London Airport in your surroundings. We have qualified, licensed and expert drivers who drive CRB checked vehicles to provide punctual Airport transfers. We have wheelchair accessible, spacious, and business class cars that we use for every ride. So, gather all your friends and family members to travel to nearby airports, towns, and villages by paying as less as possible.